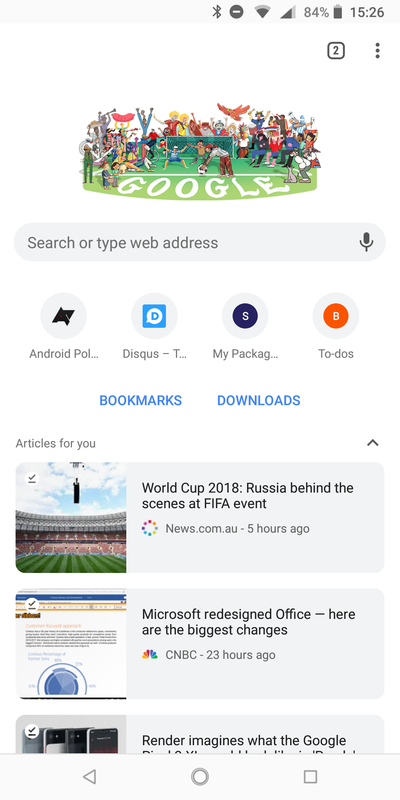 Yesterday, I shared with you a Chrome flag that lets you minimize the Articles for you recommendations on Chrome's new tab page. 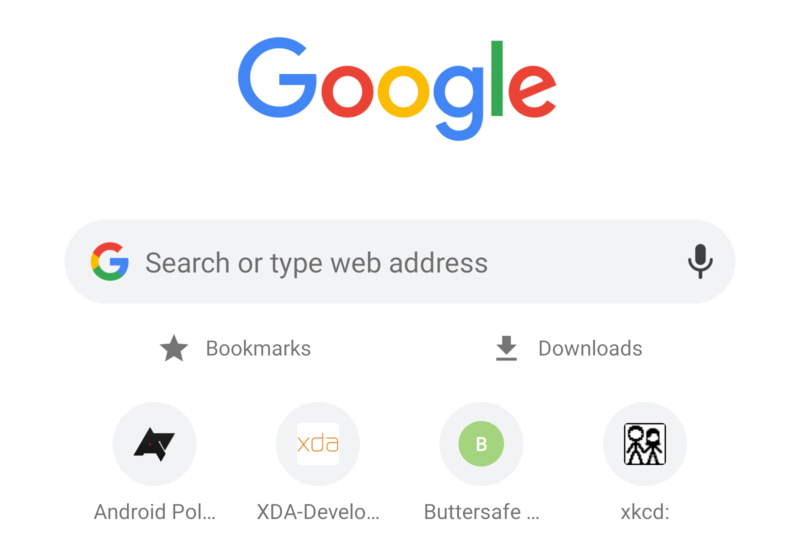 But there is a whole world of Chrome flags worth discovering, and one of them is very useful but might be unknown to you: an option to show quick shortcuts to your bookmarks and downloads. This should ease the pain of losing that handy Chrome bottom tab the team tested last year. 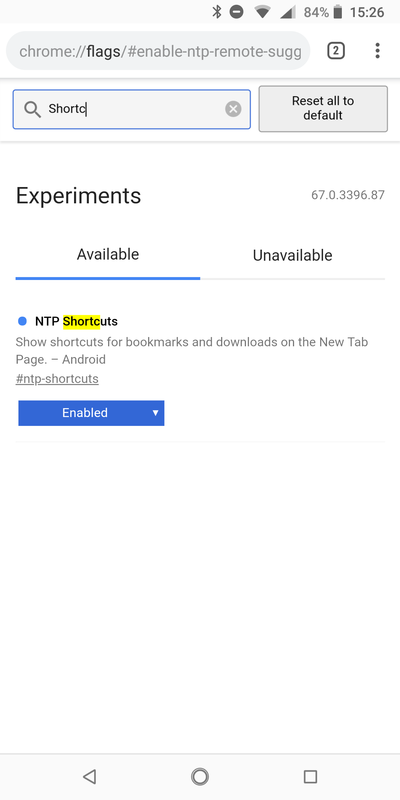 By default, Chrome can cram a lot on the new tab page, including a huge list of your downloads or your latest bookmarks, but those can be disabled with a few flags (look for "ntp" in the flag list and you'll see the options). However, if you still want an easy way to access them without having them crowd up your page, you can enable a flag that shows two shortcuts for them. On Chrome 68 Beta, the flag can be found at chrome://flags/#simplified-ntp (copy and paste that in the URL bar, clicking the link won't work) and the shortcuts display below the search bar but above your most visited sites, as in the screenshot at the top of the post. 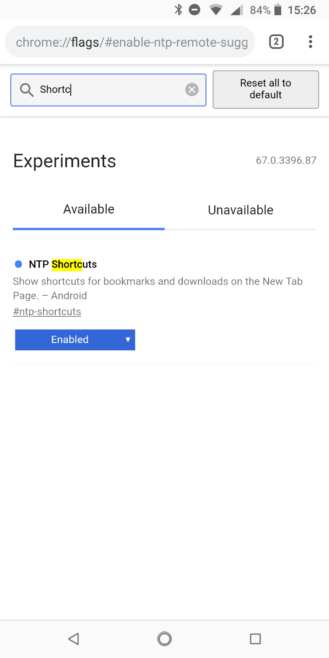 On Chrome 67 stable, the flag is chrome://flags/#ntp-shortcuts (same, copy and paste) and the shortcuts display below both the search bar and the most visited sites, like in the screenshots below. I have always wanted a faster way to get to my bookmarks than tapping the overflow menu, so this is a very welcome change for me and one I'm sure I will enable on all my devices going forward. But if I'm honest, I'd rather have quick access to my history instead of the downloads as the second option or, you know, there's enough space to show all three so why not have them all? Hopefully that'll be added with another flag in the future.